How to stream Netflix downloaded 4K video from computer to Chromecast Ultra? 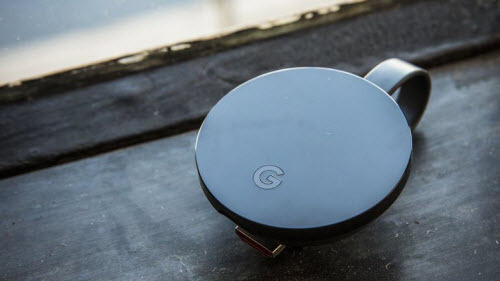 The new Chromecast Ultra supports up to 4K Ultra HD and high dynamic range (HDR) for stunning quality, you can get brilliant images and vibrant colors when streaming 4K content via Chromecast Ultra to 4K Ultra HD TV. Although you can directly stream video via Chromecast Ultra to your 4K TV via Netflix video apps, however, streaming 4K content requires a 25Mbps or faster downstream internet connection, which is faster than most people have at the moment. Therefore, for those people who don’t have a fast Internet connection, it would be much ideal for you to stream Netflix downloaded high quality 4K video to Chromecast Ultra via local network. The following article will show you how to stream local Netflix 4K video to Chromecast Ultra. The Videostream app is a Chrome app that you can use it for free. You can download it from the Chrome Web Store. After installing and launching it, you can then pick a video file from your computer local and select the Chromecast Ultra you want to stream to. MP4 is the most compatible file type you can use, as it’s supported by the Chromecast Ultra natively. But Videostream actually supports practically any media file type. If necessary, Videostream will automatically transcode the file when it streams it to your Chromecast Ultra. Plex is a popular media server solution that has integrated Chromecast Ultra support and you can open the Plex web app in Chrome Ultra and then you’ll be able to cast video and other media files directly to your Chromecast Utra. Your Chromecast Ultra will stream the media to the 4K TV via your Plex Media Server. Verdict: If you have just a few videos to watch now and then, Videostream will be adequate for you. But if you want to set up a full-blown home media server, Plex will be the best choice. The 4K video downloaded from Netflix 4K video can be in various different file formats such as 4K H.265, 4K AVI, 4K WMV, 4K MOV, 4K MKV, etc, however, Chromecast Ultra only handle 4K H.264 High Profile MP4 video. To get any Netflix 4K video played on Chromecast Ultra via Videostream app or Plex Media Server, you will need to perform a format transcoding process. Although both Videostream app or Plex Media Server has the ability to automatically transcode the video for you. 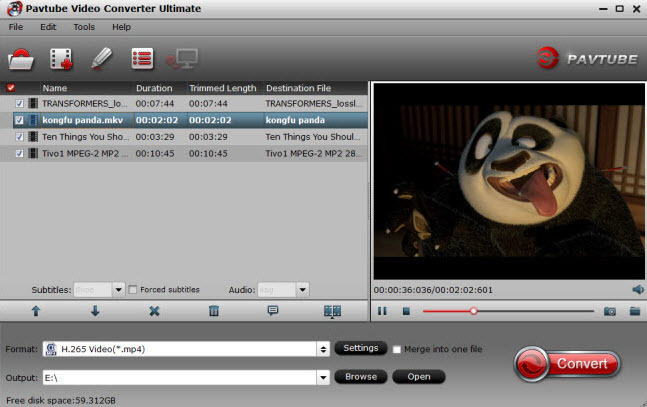 However, as 4K transcoding process is very can be CPU intensive and also uses temporary disk storage for the converted media, therefore, if your CPU is not powerful enough or your boot drive is very small, it would be much ideal for you to use a third-party program to perform a codec transcoding process instead of directly using the video streaming app to perform the transcoding process. Here, a fast and simple to use application 4K video conversion app – called Pavtube Video Converter Ultimate is highly recommended to you, the program can comprehensively encode Netflix downloaded 4K video in various different file formats to Chromecast Ultra compatible 4K H.264 High Profile MP4 video. For Windows users, you can get a fast H.264 codec encoding with our program as long as your computers runs on a Nvidia Graphic card that supports Nvidia CUDA and AMP App tehchnology. Click “Settings” to open “Profile Settings” window, here you can adjust to output Chromecast Ultra readable audio formats including AAC, MP4, WAV, etc or adjust other settings such as resolution, bit rate, frame rate, audio codec, bit rate, sample rate, channels, etc according to your own needs. If the downloaded Netflix 4K video uses an aspect ratio that doesn’t match with your TV display screen aspect ratio, you can change output video aspect ratio to make it adapt with your TV using the program’s built-in crop function. Tips: For your convenience, the program is available on both Windows and Mac platform (get Mac version). 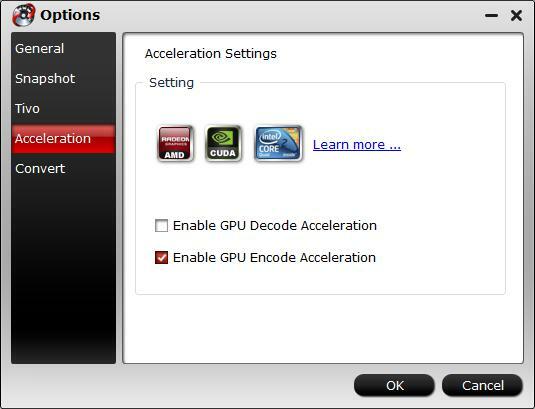 In addition, the windows version of this program supports up to 6x faster H.264 codec encoding acceleration on a computer with Nvidia Graphic cards that supports Nvidia CUDA and AMD App technology. How to Convert Netflix 4K Video for Chromecast Ultra Streaming to 4K TV? Step 1: Load Netflix 4K video. Download the free trial version of the program. Launch it on your computer. Click “File” menu and select “Add Video/Audio” or click the “Add Video” button on the top tool bar to import Load Netflix 4K video files into the program. 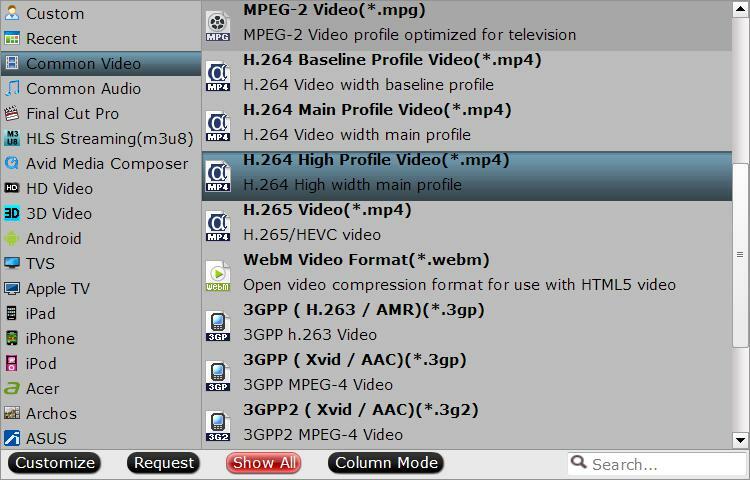 Tips: Click “Tools” > “Options”, in the opened “Options” window, click “Acceleration” menu, then check “Enable GPU Encode Acceleration” otpion so that the program will accelerate conversion speed when encoding video to H.264 or H.265/HEVC codec. Click “Format” bar, from its drop-down list, select Chromecast Ultra supported 4K H.264 file format by following “Common Video” > “H.264 High Profile Video(*.mp4)”. Click “Settings” to open the “Profile Settings” window, here you can flexilby adjust output video codec, resolution, bit rate, frame rate and audio codec, bit rate, sample rate and channels to let them fit them Chromecast Ultra. Go the “Crop” tab in the “Video Editor” Window, switch to the “Advanced Mode”. To change output video aspect ratio, there are several aspect ratios for you to choose from, including 16:10, 16:9, 5:4, 4:3, 3:2, and 2:1, you can choose Instagram accepted 16:9 aspect ratio. Once you select a “Display aspect ratio”, the “green crop frame” will keep this ratio to crop video and you are able to preview the final effect in real time. If you want to keep the same aspect ratio in your final output files, do remember to set the Video “Size (pix)” in “Settings” section as the same ratio as display aspect ratio. Step 5: Start the final conversion process. After all setting is completed, hit right-bottom “Convert” button to begin the conversion from 4K Netflix video to Chromecast Ultra playable 4K H.264 High Profile MP4 format encoding process. When the conversion is completed, feel free to follow the steps listed below to stream 4K video to Chromecast Ultra via Videostream app or Plex Media Server. Edit 4K MXF files in Sony Movie Studio 13?